The Crossbox Podcast is me, Jay (Fishbreath), and the editor here at the Soapbox, John (parvusimperator), gabbing for about an hour a month on topics of interest in the fields of gaming, firearms, and defense and foreign policy. Sometimes we delve into books, movies, and technology. The most recent few episodes can be found below. Find an archive of all past podcasts here. Find the feed for new episodes here. In a summertime edition of The Crossbox Podcast, we find an excuse to play some of our favorite military music: talking about procurement challenges service branch by service branch. 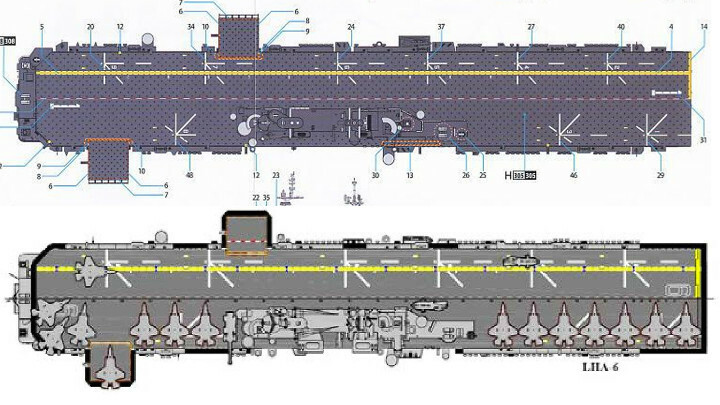 * America and Wasp deck plans, compared, in which your host looks foolish for not realizing they’re the same size. Visit the Soapbox for articles and commentary authored by the hosts of the Crossbox Podcast. Find back episodes of the Crossbox Podcast here. After a long drought, we’re back in action with an adventuresome special edition. In this 25th episode of the Crossbox Podcast, we skip the usual regimented approach and bring you a good old-fashioned Crossbox gripe session about a certain recent Star Wars movie. This is, in fact, our November episode, despite the fact that it is currently December; we recorded it on the 29th, and I’ve been busy, or possibly lazy. Regardless, listen to us talk about engines of three sorts: tank, rocket, and game. In our latest episode yet, we sneak in under the wire with a mere seven hours left in September. We revisit some old warfighting equipment, some old games, and some more recent guns. M60A2 Starship, which looks less like a starship than I might have hoped. CZ P-09 proposal. You can find the review in the recommended posts.